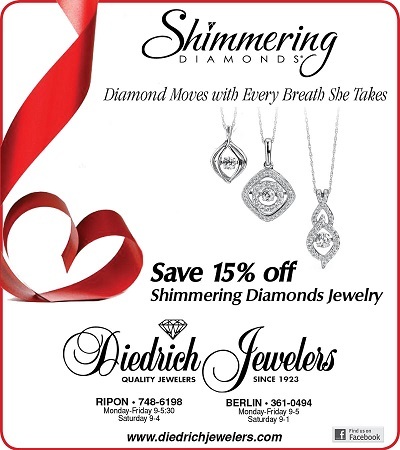 All 14 karat and sterling silver Shimmering Diamonds jewelry is on sale through February 14 at 15% off. Choose from earrings, pendants or rings with prices starting at $200. The Christmas season's best seller will soon be the Valentine's Day bestseller! Our Diamonds and Dinner Promotion is Back! Our popular diamonds and dinner promotion is on again until February 14. 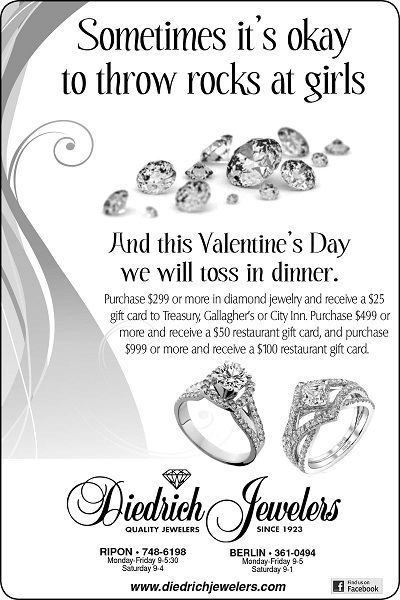 Purchase $299 in diamond jewelry this Valentine's Day and receive a $25 gift card to Treasury Restaurant, Gallagher's Restaurant or City Inn. Purchase $399 or more and recieve a $50 gift card, and a purchase of $499 or more gets you a $100 gift card to the restaurant of your choice. Why choose one or the other, get the gift and dinner in one visit.